Microbiome Research | BIOTICS | NITTO PHARMACEUTICAL INDUSTRIES, LTD.
We currently maintain a library of more than 400 strains of microorganisms. Since the Company's establishment in 1947, we have been working on research on effective microorganisms such as lactic acid bacteria ,Bacillus natto, etc. for approximately 70 years. As early as 1948, Iomin, our yeast preparation for gastrointestinal disorders, was approved. Subsequently, we developed an additional formula of gastrointestinal medicines mixed with Bacillus natto, lactic acid bacteria, dried yeast, digestive enzymes, vitamins, and other components. This formula was used for New Conzym Tablet, a drug intended to relieve intestinal and digestive disorders that remains popular with many customers. In addition to our independent work on isolation of new beneficial microorganisms and improvements to culturing technique, we have actively collaborated with various universities and public research institutes to investigate the effectiveness of microorganisms and metabolites. Currently, with our library of more than 400 strains including 7 industrial strains, we are manufacturing and distributing mainly lactic acid bacteria for use in food and pharmaceutical products. We are professional dedicated to the research and culturing of effective microorganisms. ▼ Please swipe to see. We offer a line of probiotics comprising seven original strains. 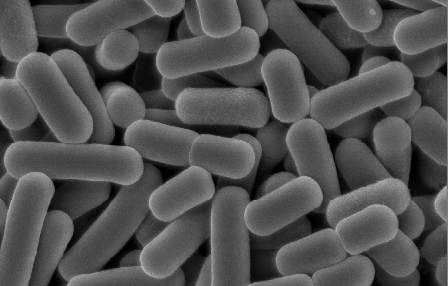 We have developed unique stabilizing agents ensuring longer-lived probiotics and freeze-drying production for long-term preservation so that the activity of each type of microoganisms remains at the maximum for its human health benefits. This is a type of lactic acid bacteria living in human intestines. E.faecalis NT, shaped like small spheres, is easy to ingest for you in large quantities at one time. This beneficial microbe grows quickly, preventing the growth of harmful bacteria. These lactic acid bacteria were isolated from suguki pickle, a traditional fermented food in Kyoto. It activates natural killer (NK) cells, which attack virus and cancer cells, to enhance the human immune system. They were isolated from the canola pickle, a traditional fermented food in Kyoto. This microbe has been shown to prevent hepatic fat accumulation, decompose purines, and lower uric acid levels in animal study. They were isolated from green peas and produces a large amount of sticky exopolysaccharide (Leucosaccharides). It induces the secretion of IgA antibodies, which prevent the invasion of viruses and pathogens. It has been verified that this microbe also regulates the immune balance and alleviates allergy symptoms. This is the most common beneficial microbe living in human intestines. Its numbers decrease as we age. It differs markedly from lactic acid bacteria in that it produces acetic acid as well as lactic acid, preventing the proliferation of harmful bacteria with its strong antibacterial activity. Recently it has been found that the acetic acid produced by it helps to antiobesity. They are good germs isolated from natto (fermented soybeans). They form spores which are resistant to heat and acid and have a high probability of surviving to reach the intestines. Bacillus natto promotes the growth of bifidobacterium. It also produces dipicolinic acid, which has an antibiotic effect against Helicobacter pylori and Escherchia coli O-157. Clostridium butyricum NT was isolated from human. Butyric acid produced by C. butyricum not only prevents the growth of harmful bacteria by acidifying the intestines but also stimulates the immune system, thus it reduces inflammation and allergic reactions.